Asus in its latest event at the Humble House Taipei on Monday showcased the new Zenphone 3 Series. 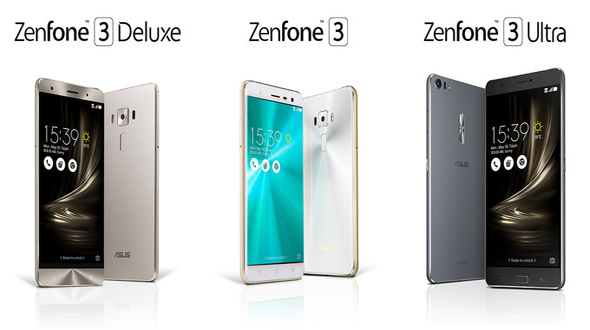 The new phone has been launched in three variants named - ZenFone 3, ZenFone 3 Deluxe, and ZenFone 3 Ultra, with all the different specifications and sizes, even the designs differ from each other. Combination of metal & glass design phone looks classy and can give tough competition to the leaders in the race. 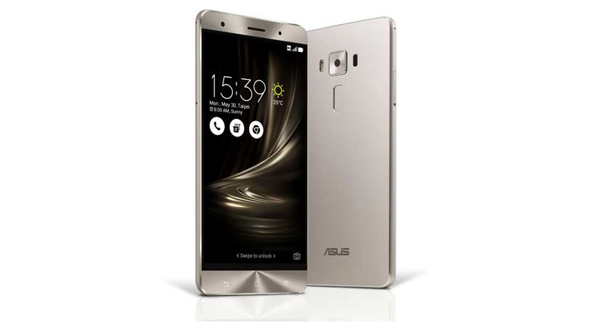 The Zenfone 3 is well equipped with a 5.5-inch Full HD (1920 by 1080) Super IPS+ display and powered with up to 4GB of RAM and up to 64GB of storage, which is well supported by a Snapdragon 625 processor for the faster process and smooth multitasking. On the camera front the phone is equipped with a 16MP rear camera and 8MP front-facing camera for all those who love to click selfies. The phone is powered with a 3000 mAh battery to provide the juice to the device. The phone is made from two panels of glass on the front and back with a metal frame; it's available in gold, blue, black, and white. Phone also supports fingerprint sensor on the back and USB-C 2.0. 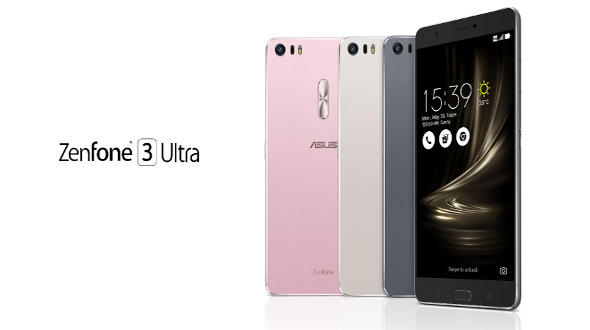 The Zenfone 3 Deluxe moves to aluminum unibody construction with "invisible" antenna lines, which Asus claims is a world first. The Device is supported with a 5.7-inch 1080p OLED panel display and powered up with to 6GB of RAM which is well supported by a Snapdragon 820 series processor. On the Camera front the phone is equipped with a 23MP primary camera with the latest Sony IMX318 image sensor, f/2.0 aperture lens, and 4-axis optical image stabilization and 4K video recording. Zenfone 3 Deluxe has Type-C USB chargers with Quick Charge 3.0 supported and fingerprint sensor on the back. Other specs are largely the same as the standard Zenfone 3. Device is available with colour options of gray, silver, and gold. The device is priced at $499 (roughly Rs. 33,600). In the built quality Zenfone 3 Ultra has similar construction to the Deluxe the difference is that only the fingerprint scanner comes on the front. The device has a huge 6.8-inch 1080p LCD display and device is powered with up to 4GB of RAM which is well supported by a Snapdragon 652. With 23MP primary camera with the latest Sony IMX318 image sensor, f/2.0 aperture lens, and 4-axis optical image stabilization and 4K video recording similar like Deluxe model. USB-C 3.0 with Display Port support, what Asus describes as a 4K TV-grade video processor, and a 4,600 mAh battery. It's available in gray, silver, and pink. The device is priced at $479 (roughly Rs. 32,200). 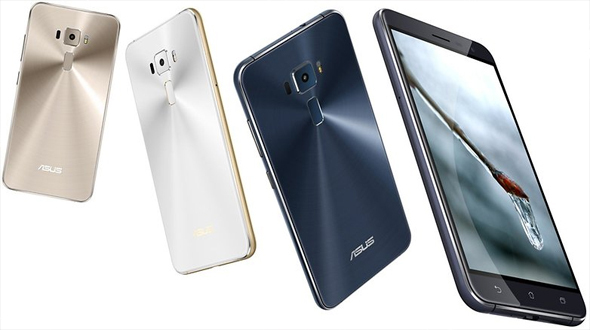 Launch date of the devices are still awaited from the Asus. We can predict that the devices will be soon available to grab. Do share your views and feedback in comment section below.